The secure powered site locker for safe and secure battery charging. 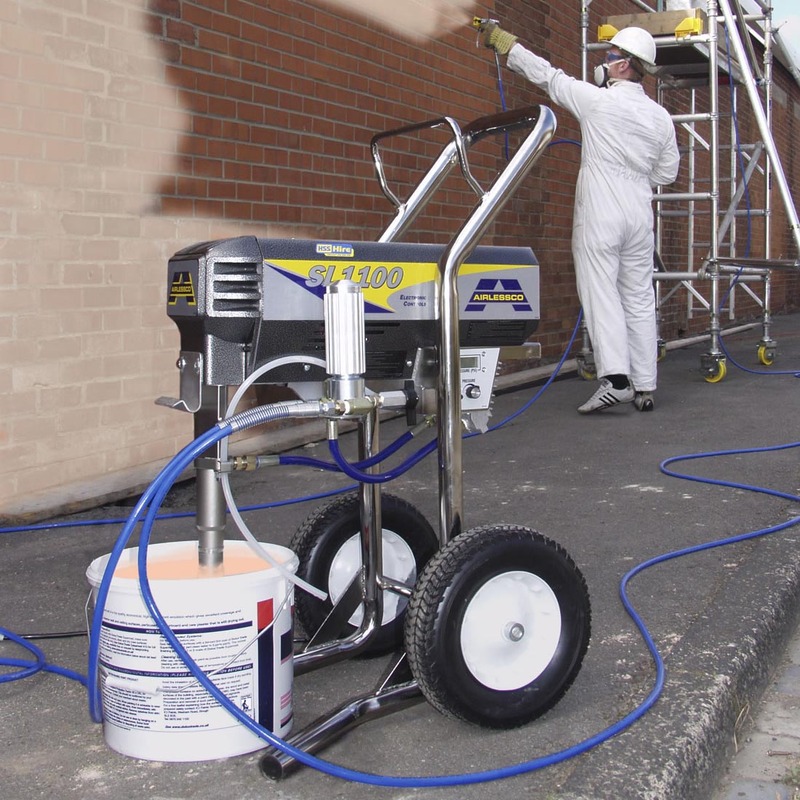 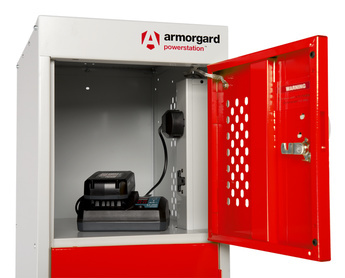 Power tools and mobile devices are especially vulnerable to theft when being charged on site. 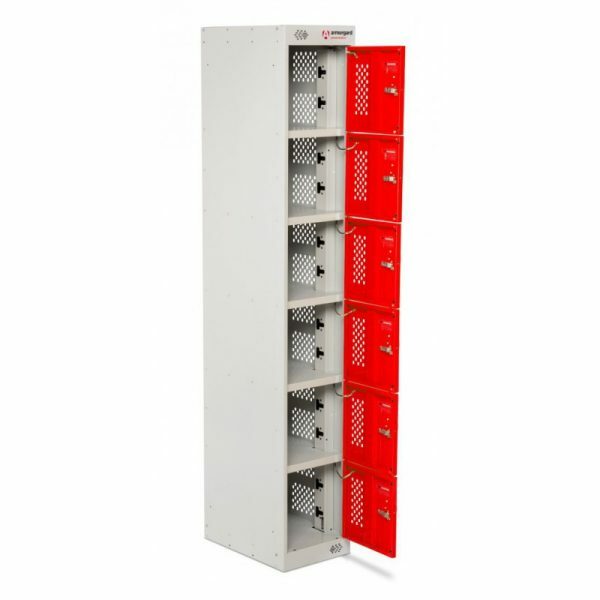 The secure battery charging locker bank allows you to charge your equipment unattended, confident in the knowledge that it is safe from thieves. 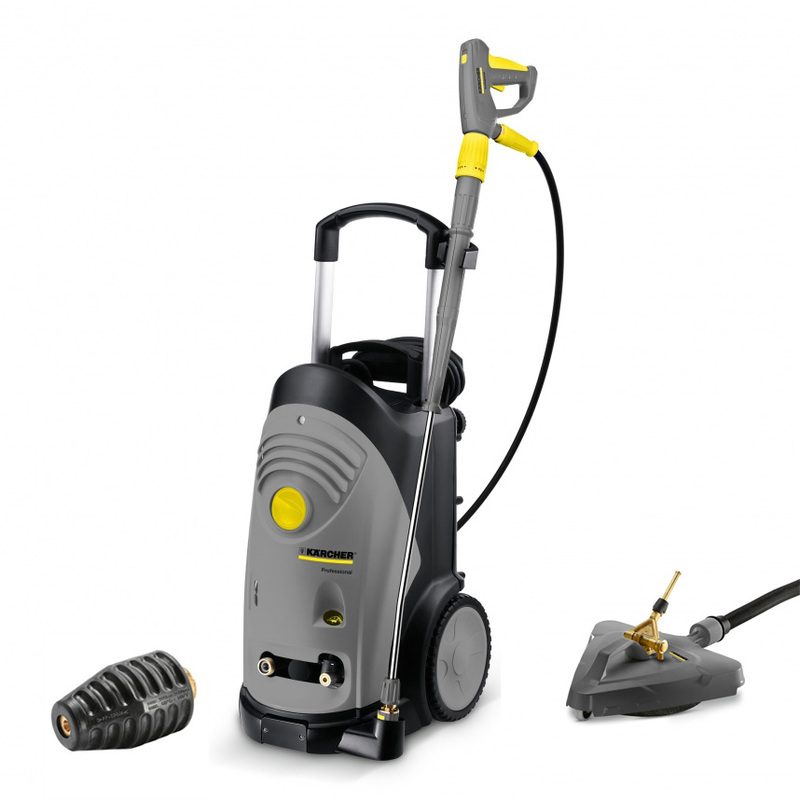 Specially designed for charging power tools, mobile phones and devices and other electrical devices. 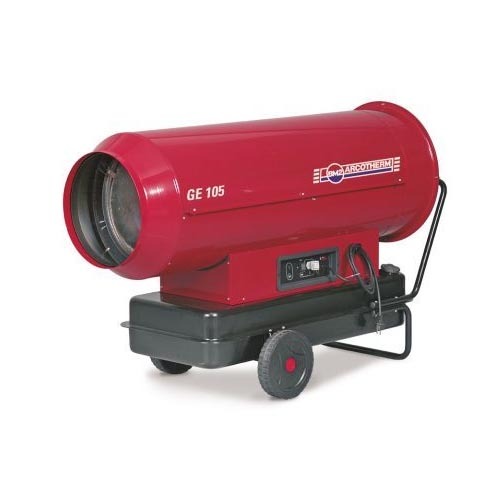 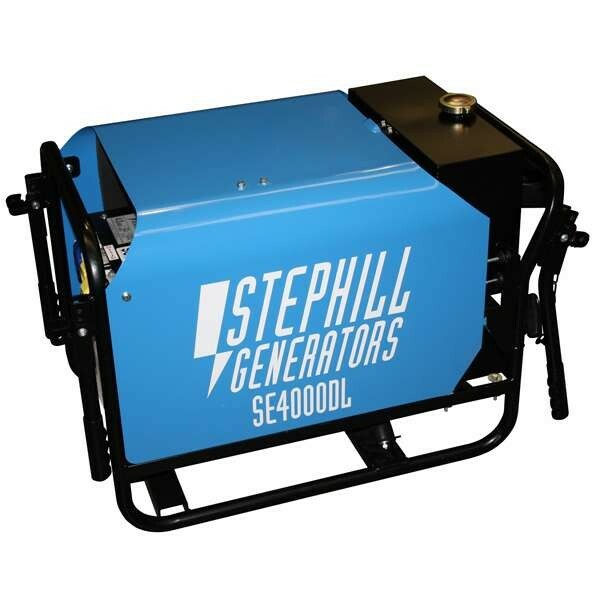 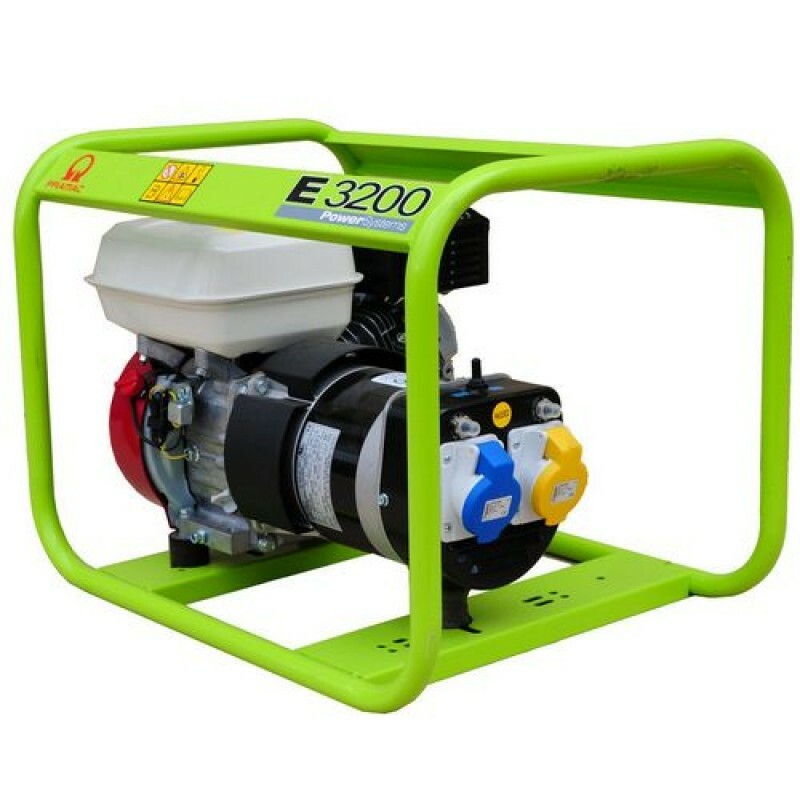 The Powerstation is ideal for use in the site office. 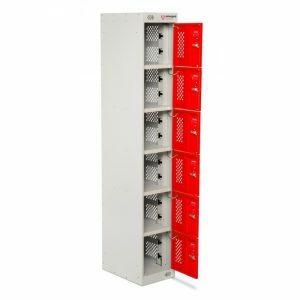 Each locker features 6 separate Powerstation compartments, each containing a double socket.